The Parliament Project is a non-partisan project to inspire, empower and encourage women to run for political office in the UK. They run workshops and webinars to demystify the process for women wanting to get involved in politics and online peer support circles to support women’s political ambitions more deeply. The Parliament Project is active across England and Scotland aiming to increase the female representation in all levels of politics to 51%. 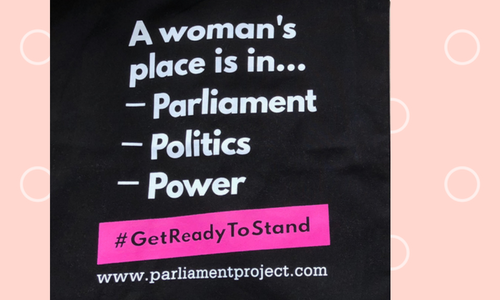 The Parliament Project ran a fantastic event in Edinburgh for 100 Scottish women to gather to celebrate the suffrage centenary and to make a plan for how to achieve gender balance within Scottish politics. They used printed tote bags to give out at the event to all those that participated to remind themselves daily how powerful they are! We used Screen Printing to achieve the best results for both light and dark colour garments. This printing technique applies ink directly onto fabric using mesh screens. Screen Printing is one of the most competitively priced clothing and Garment Printing techniques for large volumes and offers you a vibrant Pantone Colour Matched print.